Ditto gives employees, guests or students one consistent way to wirelessly present their computer, phone and table screens to any display equipped with a compatible receiver. Presenting with Ditto brings a level of consistency that’s impossible to achieve with cables, adapters and other hardware solutions. Connection confusion, conference room clutter and misplaced adapters will feel like a distant memory. Ditto simplifies screen mirroring for everyone because it works the same way for everyone. 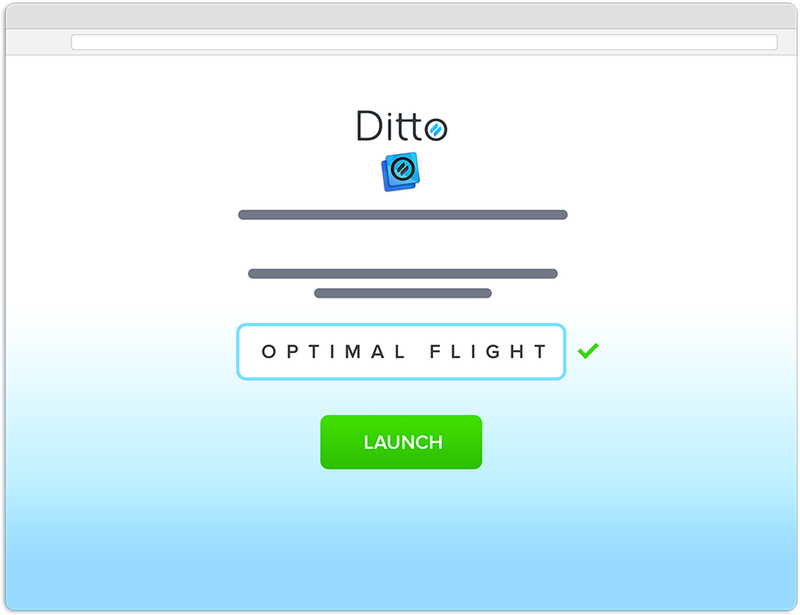 To wirelessly present, simply enter the Ditto room code into the Ditto Connect app. Apple TV or Chromecast, Mac or Windows—it doesn’t matter. In addition to compatibility with a wider range of receivers, Ditto is faster than native AirPlay and Google Cast mirroring, and it gives users the option to mirror a specific application instead of their entire screen. Learn more about how Ditto works.